Catherine joined Quilvest in 2010. She is a Partner in the Hong Kong office. Catherine is responsible for the due diligence and execution of Private Equity fund investments and co-investments for QS GEO PEP, with a focus on Asia. Prior to joining Quilvest, Catherine spent several years at HarbourVest Partners (Asia) in Hong Kong, most recently as a Vice President. She focused on primary partnership investments across Asia Pacific and committed over $150 million in capital to managers across developed and emerging Asia. In addition, she took a lead role in strategic and portfolio construction planning for the region. 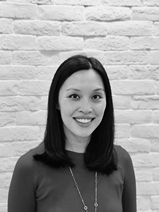 Prior to that, Catherine worked as a Consultant at Bain & Company in its Hong Kong, New York, and Boston offices. She advised clients on strategic and operational issues, including a number of projects with private equity managers and their portfolio companies. Catherine holds an MBA from Harvard Business School and a BA from Brown University with concentrations in Computer Science and Business Economics.